By utilizing modern machines and latest equipments, we are engaged in manufacturing & supplying a large range of Industrial Hydraulic Cylinders. For the benefits of our clients, these products under goes stringent quality tested by the quality inspectors and are authorized as per the industrial standards. 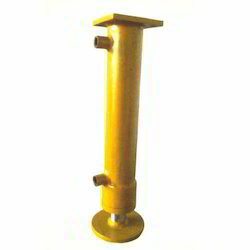 These products are well equipped and are resistant to corrosion. 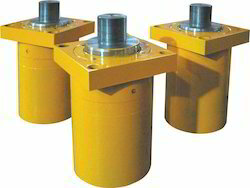 Clients can avail from us a wide range of Heavy Duty Hydraulic Cylinders, as we are engaged in manufacturing & supplying these products in bulk. 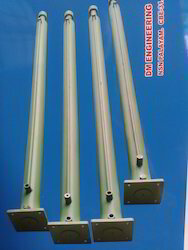 These products are extremely rigid in state and offer hurdle-free service life. 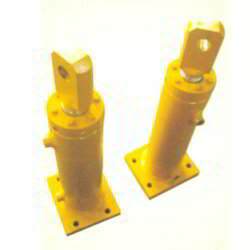 High mechanical strength and reliable performance are considered as some of the salient specifications of these cylinders. Knowing us as the leading companies, we are engaged in manufacturing & supplying a quality range of Custom Hydraulic Cylinders. These products are strong and sturdy in nature and offer high level of performance with maximum results. All these products are technically accurate and ensure longer operational life. We ensure timely delivery of our products.